Q. 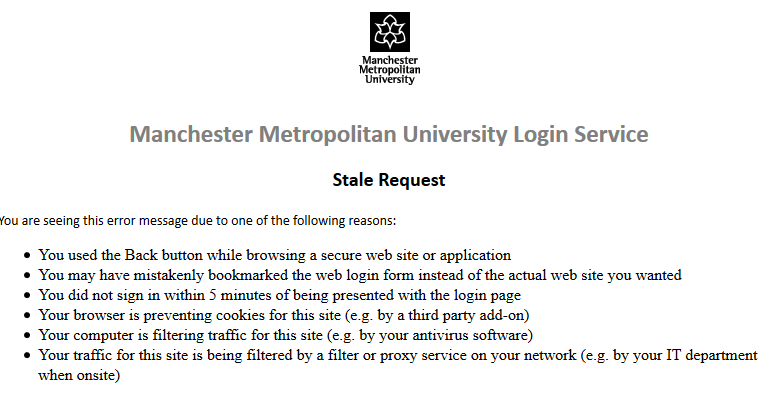 Why do I get the message 'Webservice login stale request' when trying to access eResources? fully complete the login process to proceed.